Oh hello everyone! Don’t mind me, I am just so happy the weekend is here. It’s been a busy week at work, and I am just so glad it’s over. I am exhausted!! Any big plans for the weekend? Not me, all I know is I get the house to myself on Saturday! Woohoo!! I love that! Now I can dance around in my underwear and do what I want. Ok, I won’t dance in my underwear, I’ll probably blog, bake, do a Trader Joe’s run and just maybe I’ll do some exercises! Exciting huh? Well today’s recipe is a new one for me, and I couldn’t be more pleased, I was a little concerned at first, but to my surprise it turned out bakery quality. First let me tell you last week Little Jenny and went to a local bakery and I always order the fruit salad with grilled chicken and on the side they gave me a slice of raisin bread. I LOVE raisin bread, but they only gave me one slice. Normally I get two or three, but one! That does not satisfy my raisin bread craving, if anything it made me want it more!! They teased me with one slice, and because I am not a give me type of person I didn’t ask for more bread, I should have, but I didn’t. So with that, I made my own! Jessica from How Sweet it Is told me to get a dough hook for my mixer to make bread, it will change my world. Boy was she right! Now I can’t stop!! 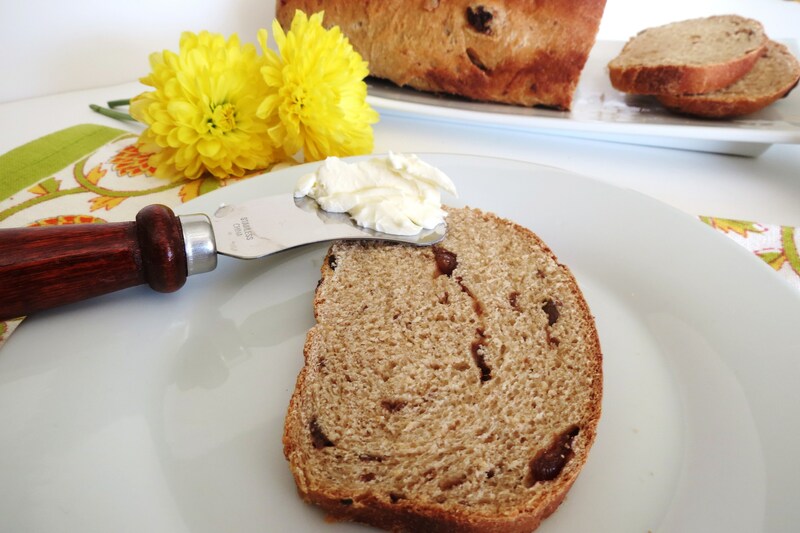 This bread feels heavy but when I sliced it and ate that first piece, pure raisin bread heaven. it was light on the inside. I thought for sure it was going to be dense but I was so wrong, so wrong! This bread actually tasted like the bread I crave from the bakery. This satisfied my cravings for sure!! 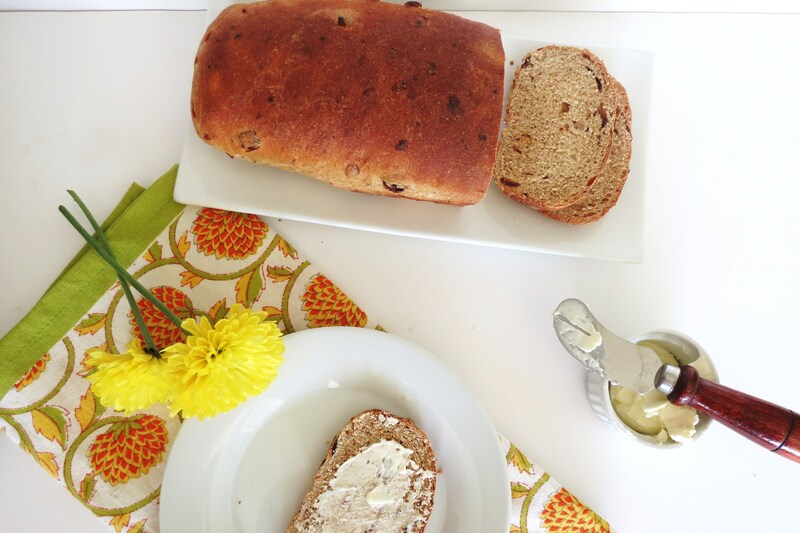 This recipe makes two nice size loaves, I took one to work with me and I froze the other. I was a little sad when I took it to work. I brought it in so I could have toast for breakfast and when I left work, there was quarter of the loaf left and when I came in the next day, it was gone. So sad! I like to share, but I can get a little selfish when bread is involved. he he Oh and this bread toasted is phenomenal! Amazing! It got crispy on the outside but when you bit into it, it was soft. Perfect!! 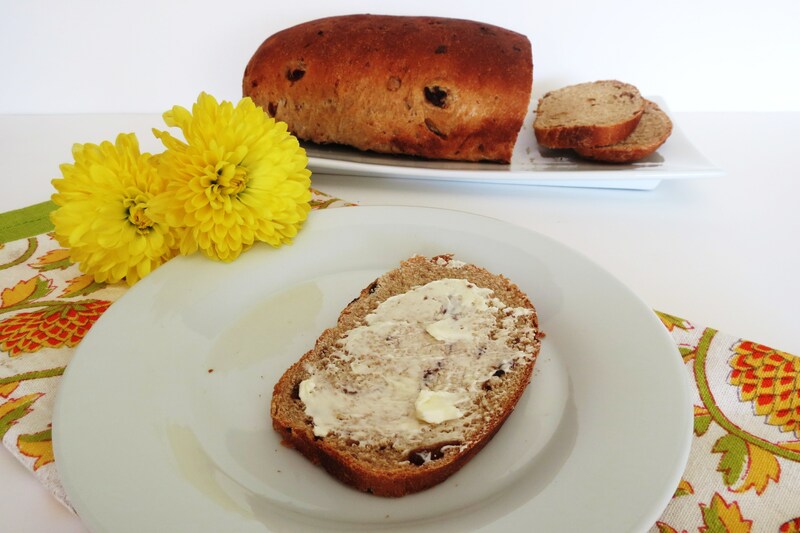 When I was a kid my Mom would buy raisin bread as a special treat, so whenever I have it, I think of my childhood. Mom would toast it, put butter on it and it would melt into every nook and cranny of the bread. Yum!! thanks Mom, for the wonderful memories. Meanwhile in a microwave safe measuring cup, add your milk. Heat for about one minute until hot. In the measuring cup, add butter, sugar, salt and stir until sugar is dissolved. Add the raisins. Add milk mixture to yeast mixture with 3/4 cups of whole wheat flour, 3/4 cups all purpose flour and cinnamon. Mix with a spoon until combined. Add the beaten eggs; mix to blend well. Add enough of the remaining flour to make a soft but stiff dough. Turn out onto a lightly floured surface and knead for about 10 minutes, until dough is smooth and elastic. Spray large bowl with cooking spray. Place dough in the bowl, turning once to grease the surface. Cover with a clean dish cloth; let stand in a warm place until doubled in bulk, about 1 1/2 hours. Punch dough down and divide into 2 portions. Cover and let rest for 10 minutes. Shape into 2 loaves; place in 2 greased 8x4x3-inch loaf pans. Cover and let rise again for about 45 to 60 minutes, until almost double. Bake at 375° for 25 minutes, placing foil over loaves the last 10 minutes, if loaves are getting too brown. Remove loaves from pans and let cool on racks. Place yeast and warm water in bowl of your stand mixer. Let it rest until foamy about 10 minutes. Meanwhile in a microwave safe measuring cup, add your milk. Heat for about one minute until hot. In the measuring cup, add butter, sugar, salt and stir until dissolved. Add raisins. Place the dough hook on mixer, add eggs and beat until combined. Add remaining flour and beat until smooth and elastic about 6 to 8 minutes. Take dough out of bowl, and spray bowl with cooking spray, place dough back in bowl, and turn once until greased. Place a kitchen towel or plastic wrap over the bowl and set aside until double in size. About 1 1/2 hours. Punch dough down and divide into 2 equal portions, let it rest for 10 minutes. The last 15 minutes of rising, preheat oven to 375. Bake for 25 minutes, placing foil over loaves the last 10 minutes, if loaves are getting too brown. I am betting you could get about 15 – 20 slices per loaf, but like I said, I cut big! You can never have too much bread, well maybe you can. Love the calories on this one!!! I hope my directions were clear enough. Sometimes it’s hard to write a recipe down. Now, please, don’t let bread intimidate you. 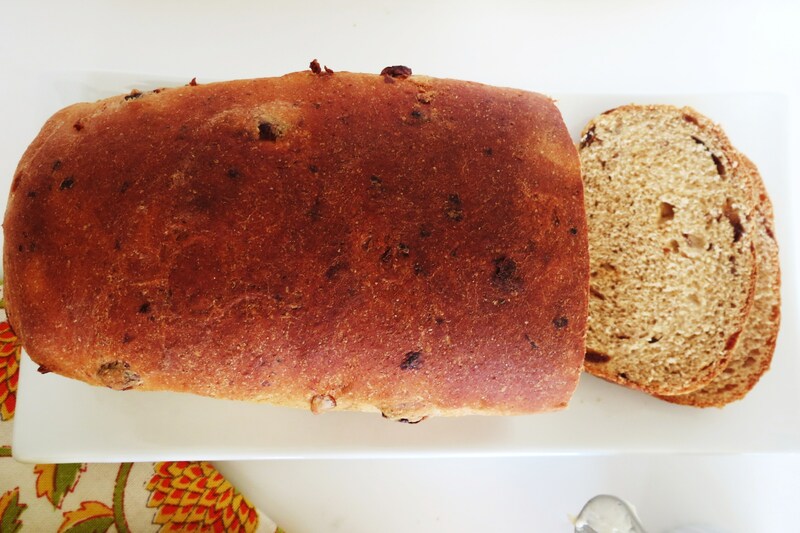 You must really, at least once try making homemade bread. It makes you feel good, when you take flour and yeast and turn it into something wonderful. Bread is easy, as long as you can wait out the rise times. I do this normally on Sunday’s when I know I’ll be home doing house work and baking other goodies. The whole bread process is pretty basic. So please make bread! It’s cheaper than buying it and tastes way better. Just think of the aroma in your home of freshly baked bread. Then the anticipation of waiting for it to be done, so you can have a slice. It’s all in the fun!! If you don’t have patience or time for bread, check out my recipe page for my 40 minute breads, just as good and very easy to make!!! Well, it’s dinner time and I’m starved! Going to heat up some left over taco lasagna from yesterday. I hope you have a wonderful weekend and since it’s cooler out, make some bread, pronto! I totally had an EWWW raisins mentality when I was a kid so I didn’t appreciate all the raisin bread my mom used to buy. But now it’s a favorite. Definitely need to try this recipe! Such a great recipe! Have a fab weekend! Thanks Maureen! Hope you have a wonderful weekend!! YUM!!! 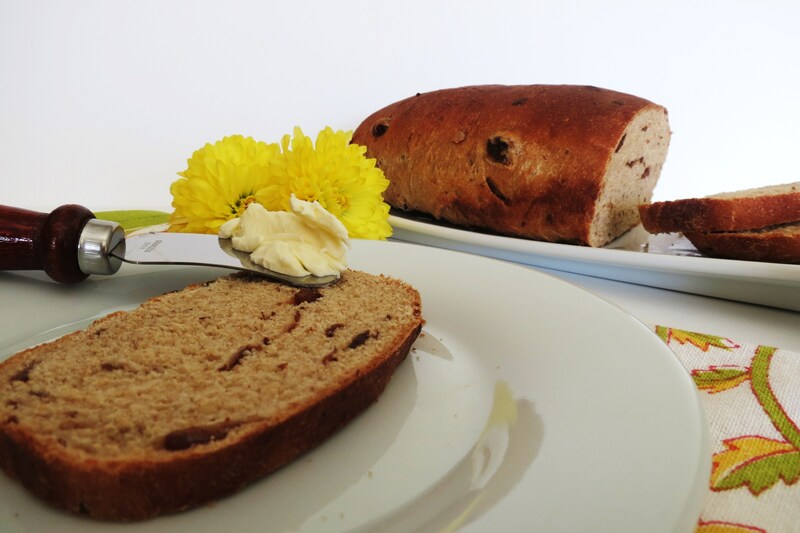 I adore raisin bread and really really like it (dont think this is too weird) with gucamole and turkey – something about the sweet and savoury combination is just awesome. Where abouts in Northern Cali do you live!?! That is an odd combination, but I bet it would taste good. For me I wouldn’t mind turkey with cream cheese on the raisn bread. Now I want to make a sandwich and I’m stuck at work! 🙁 I live East of San Francsico. Are you in the Bay Area? Oh you studied in Berkeley, I live about 40 minutes east of Berkeley. I love it there, but don’t go often enough. Your in London now? How wonderful. I never been to Europe but I iwll be going there this summer, I can’t wait! This bread looks so delicious and moist! She’s right…a dough hook WILL Change your life! 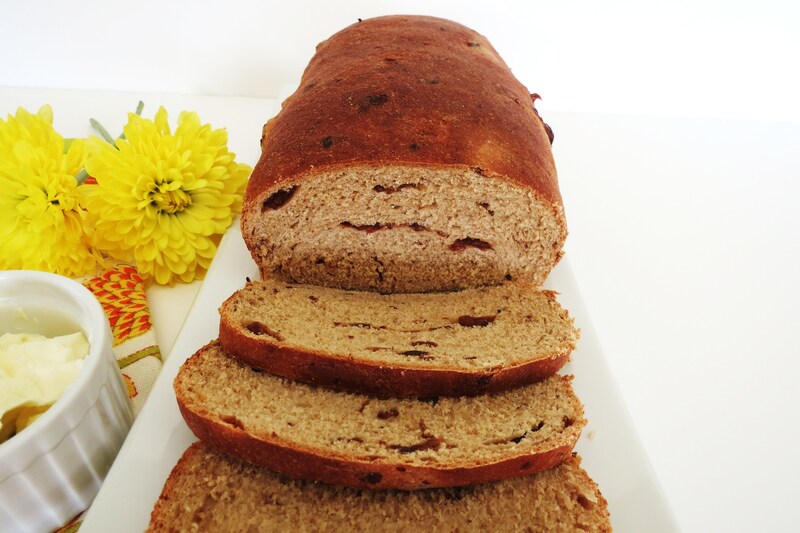 I make a whole wheat bread for the family as our daily bread….I can’t imagine buying bread on a regular basis any more! This bread looks terrific and I’d LOVE some chicken salad on it! Enjoy the weekend – especially your quiet Saturday! OMG! Chicken Salad on this bread would be amazing!! Now thats all I can think about! Have a great weekend Ann! Looks delicious, and I love how healthy it is 🙂 great recipe! Thanks! I do love this bread! Someone suggested making french toast with it and thats this coming weekend!! This is one bread I am very proud of! Would this work with regular 100% stone ground whole wheat flour? Also, would there be a difference in measurements (i.e. liquids etc…) if I was to use completely whole wheat flour instead of your mix of whole wheat and regular all purpose flour? Thank you for the wonderful recipe by the way! I love your blog! Hi, It would work using 100% stone ground whole wheat flour. I am not sure about measurements, I would think they would remain the same. 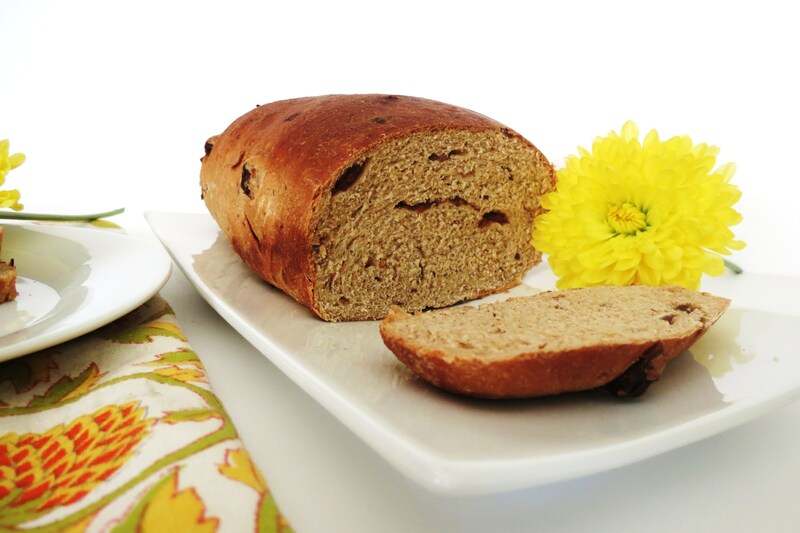 If you decided to use all whole wheat flour, take in mind that your bread may become heavy. If you don’t want to use all purpose flour, you can use bread flour or if you want to use whole wheat flour, I would sift it to make it lighter. If you make it, let me know how it turns out!! Your going to love making bread, it’s so rewarding!! !